During a DUI prosecution, the prosecution team, made up of the arresting officer, the prosecuting lawyer, and a DUI criminalist, will attempt to use the results of field sobriety test (FSTs) to prove that you are guilty of drunk driving. Testimony will likely include statements alleging that you performed poorly on these tests and were not able to follow “simple” instructions given by the officer. When you retain a good DUI defense lawyer, he will attempt to show that your nerves, natural physical coordination, and several other issues drastically affected your ability to perform these balance and coordination tests. In addition we will get the arresting officer to admit that you successfully completed the FSTs and attempt to prove that the number of things you successfully completed far outweighs the tasks you did not complete successfully. This helps to show the officer’s bias towards you. With 25 years experience, Mr. Devitt is certainly a qualified DUI defense lawyer for your potential success fighting a DUI charge. In addition the actual field sobriety tests that you were made to perform by the officer will likely be questioned. 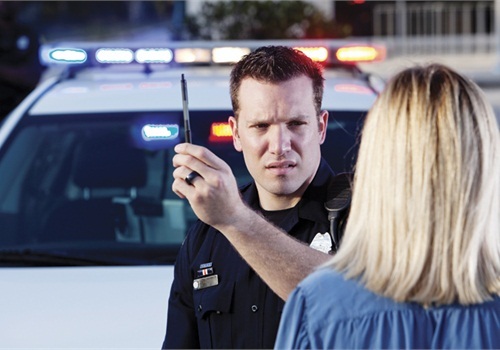 Many officers do not administer the NHTSA 3 Standardized Field Sobriety Tests and often times, when they do administer the correct tests, they do not administer them properly or evaluate them correctly. Horizontal gaze nystagmus test: involves following an object with the eyes (such as a pen) to determine characteristic eye movement reaction. Walk-and-turn (heel-to-toe in a straight line): This test is designed to measure a person’s ability to follow directions and remember a series of steps while dividing attention between physical and mental tasks. Modified-position-of-attention: feet together, head back, eyes closed for thirty seconds; also known as the Romberg test. Finger-to-nose: tip head back, eyes closed, touch the tip of nose with tip of index finger. Recite part of the alphabet, sometimes backwards! Count backwards from a number ending in a number other than 5 or 0 and stopping at a number ending other than 5 or 0. The series of numbers should be more than 15. Studies by the National Highway Traffic Safety Administration (NHTSA) explain that these FSTs are not designed to detect actual impairment, but are only intended to show likelihood that a driver is at or above a blood alcohol content of 0.08%. Additionally, further independent studies shed a fair amount of doubt on the usefulness of these tests. A 1991 study by Dr. Spurgeon Cole of Clemson University attempted to study the accuracy of FSTs. He taped participants, all of whom had a BAC of 0.00%, performing six common field sobriety tests and subsequently showed these tapes to 14 police officers. The officers were not informed of the participants’ BAC, and they were asked to determine, based on the tapes, whether or not the participants had “had too much to drink and drive” (sic). The officers suggested that 46% of the participants, who all had no alcohol in their system, were too impaired to drive. This study clearly demonstrates the possible inaccuracies of FSTs. One extremely common FST used by many officers in the portable breathalyzer. This small, inexpensive unit, often called a preliminary alcohol screening (PAS) or preliminary breath test (PBT), is actually a less sophisticated version of the breathalyzer unit which is administered at police stations. The breathalzyers at the police stations use infrared spectroscopy to determine BAC while the PAS units use much simpler electrochemical technology. The PAS units are not intended to be used in court as evidence of actual BAC; they are only intended to be used to determine probable cause for arrest. The DUI Genius will cite past studies, new evidence, and improperly administered field sobriety tests during your trial to help show that you were not impaired the time of your arrest. This test can only be performed for 30 seconds. If the officer notices two of the four clues they will very likely request a breathalyzer test. The test is not easy for sober drivers or anyone with a balance problem. Some research shows that if the subject shows two of the eight clues there is a 68% chance of having a BAC above 0.10%. Our experts can dispute this! Are the eyes smoothly following the object? Is nystagmus present at the extremes? Is the angle of onset 45 degrees or less? Should you take the tests? All FSTs are completely voluntary. There is no statute that requires a person who is suspected of a California DUI to perform field sobriety tests. Under California law, every person has the right to remain silent and not to incriminate themselves. It is not and should not be considered a form of “consciousness of guilt” for a person to refuse to perform any voluntary test, including a voluntary field sobriety tests offered by a California DUI police officer. You always have the right to refrain from performing field sobriety tests and this does not prove your guilt unless you are under 21 or on probation for a DUI. That being said, exercising your right to opt out of field sobriety tests may be considered by the officer in determining probably cause for arrest. Your DUI defense lawyer will take into account all of your actions as well of those arresting officer when attempting to show the court your innocence. Refusing field sobriety tests is not the same as refusing required chemical tests, which include blood or implied consent breath tests. Refusing these tests can be a statutory refusal and can be considered as “consciousness of guilt”. There are plausible reasons for refusing the test however, which include: officer-induced confusion and interference with the person’s ability to hear and understand the officer’s required chemical test refusal admonition. The first reason FST results can be unreliable is because even a person who is completely sober, especially someone with certain medical conditions, can fail these tests. Many factors including age, weight, gender, illness, and stress can affect your balance and concentration, and thus, your performance on a field sobriety test. Additionally, other factors outside of your control can affect your performance like: wet or slippery surfaces, cold or windy weather, or even unstable footwear like heavy boots or tall heels. All of these factors can combine together to create inaccurate results on a FST. Research funded by the National Highway Traffic Safety Administration (NHTSA) resulted in the adoption of the so-called “standardized” field sobriety tests. A study completed in 1997 determined that the most effective field sobriety tests were the one-leg stand, the walk-and-turn, and the horizontal gaze nystagmus tests. But, even using these, the most effective FSTs, research showed that 47% (nearly half) of the participants who failed the tests actually had BAC concentrations that were less than the legal limit. Burns and Moskowitz, Psychophysical Tests for DWI Arrest: Final Report, DOT-HS-802-424, NHTSA (1977). Field sobriety tests are largely unknown or unfamiliar to most people and so they are unpracticed which can significantly increase the difficulty for the people asked to perform them. Additionally the margin of error is extremely slim for these tests; as few as two clues can cause an individual to be classified as an impaired driver when the true reason may simply be unfamiliarity with the test. Further research was conducted in 1986 and was reported in Halperiri, Is the Driver Drunk? Oculomotor Sobriety Testing, 57 Journal of the American Optometer Association 654 (1986). 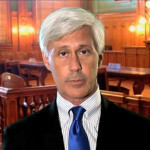 The research was designed to determine the tests’ ability to show whether a suspect’s BAC was above or below the legal limit, rendering the driver “impaired”. The research was conducted under strict laboratory conditions and showed that the walk-and-turn test returned a correct assessment 75.1% of the time, a one-leg-stand test proved correct 75.5% of the time, and the nystagmus test 81.8% of the time. When all three tests were given together a correct identification was gathered 83.4% of the time. While these numbers may seem high, think of the results in reverse; this means that FSTs identify approximately one fourth of innocent suspects as guilty. Also remember these tests were performed under ideal conditions with experienced, accurate administrators. Going back to the research conducted by Dr. Spurgeon Cole in 1991, it has been shown that field sobriety tests are barely better than a coin flip at predicting intoxication in driver. A staggering 46% of the participants, all of whom had a BAC of exactly 0.00%, were determined by officers to be unable to safely operate a motor vehicle. Cole & Nowaczyk, Field Sobriety Tests: Are They Designed for Failure?, 79 Perceptual and Motor Skills 99 (1994).